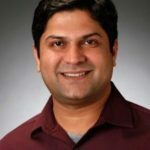 Suhail Ansari has been named the new Chief Technology Officer at Move. Move is a subsidiary of News Corp. and operates the real estate portal realtor.com. Ansari was formerly the Vice President of Engineering, R&D at Pivotal Software. Before that, he held senior engineering positions at eBay.